There are going to be a lot of things that I will miss when we move next year, and one of them will be sending and receiving letters. 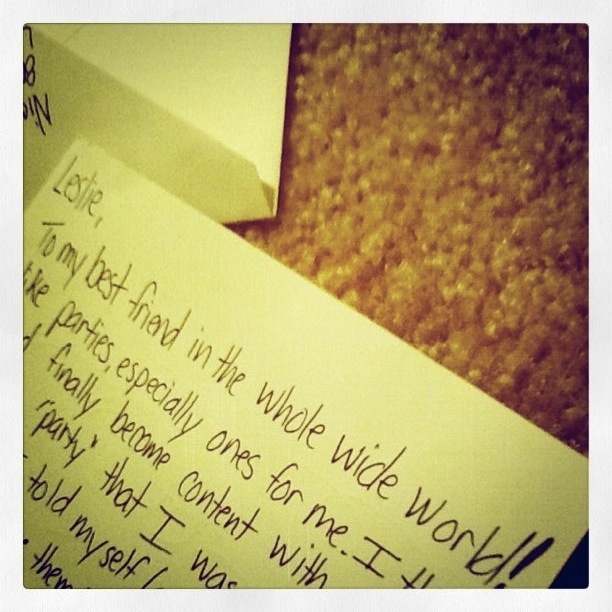 I think there are few things more powerful than a handwritten letter or card from someone who loves you. This particular letter is from my sweet friend, Nicole. She left it in my car on my last day of work. Finding it made my day!